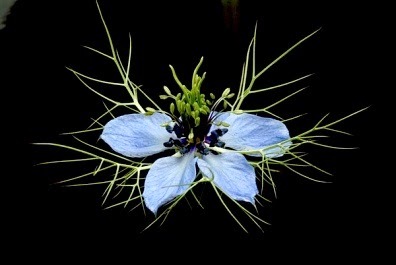 Nigella sativa (Kalonji or simply Nigella) is an annual flowering plant in the family Ranunculaceae, native to south and southwest Asia. It grows to 20–30 cm (7.9–11.8 in) tall, with finely divided, linear (but not thread-like) leaves. The flowers are delicate, and usually colored pale blue and white, with five to ten petals. The fruit is a large and inflated capsule composed of three to seven united follicles, each containing numerous seeds which are used as spice. 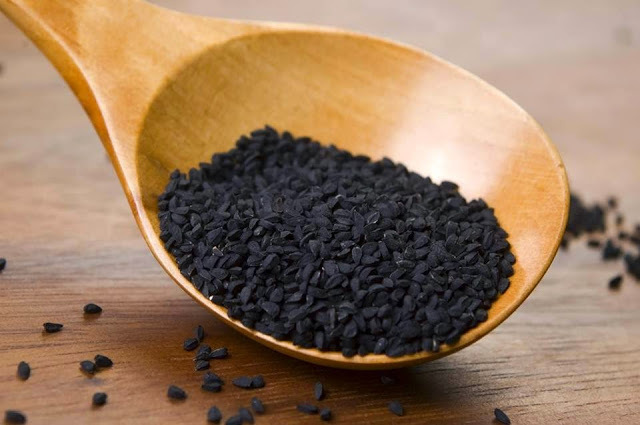 Black Seed is grown in various countries and therefore known by many names such as Black Cumin (Egypt), Black Caraway (Turkey), Kalonji (India/Pakistan), Habbatul Baraka or the Blessed Seed (Middle East), among others. Ever since its introduction to the United States in the late 1980’s, it has been commonly referred to as ‘Black Seed’ or ‘Black Cumin’ and often used as a spice in traditional Indian, Pakistani, Middle Eastern and Persian cuisines. In English, Nigella sativa seed is variously called kalonji, fennel flower, nutmeg flower, black caraway, and Roman coriander. Nigella is used as part of the spice mixture paanch phoran or panch phoron (meaning a mixture of five spices) and by itself in many recipes in Bengali cuisine and most recognizably in naan bread. Seeds of Nigella sativa have a pungent bitter taste and smell. It is used primarily in confectionery and liquors. Peshawari naan is, as a rule, topped with kalonji seeds. Nigella is also used in Armenian string cheese, a braided string cheese calledmajdouleh or majdouli in the Middle East. Historically, black seed has been used for headache, toothache, nasal congestion, and intestinal worms. It has also been used for conjunctivitis, pockets of infection (abscesses), and parasites. Today, black seed is used for treating digestive tract conditions including gas, colic,diarrhea, dysentery, constipation, and hemorrhoids. It is also used for respiratory conditions including asthma, allergies, cough, bronchitis, emphysema, flu, swine flu, and congestion. Other uses include lowering blood pressure, lowering cholesterol levels, treating cancer and boosting the immune system. Women use black seed for birth control, to start menstruation, and to increase milk flow. Black cumin is regarded by many as a panacea and may therefore not be taken seriously by some, but for those inclined to dismiss folklore, it should be noted that these humble seeds have been found superior to almost every other natural remedy when used for autoimmune disorders, conditions in which patients suffer greatly because their own systems attack their bodies. Black cumin, especially when combined with garlic, is regarded as a harmonizer of the imbalance which allows immune cells to destroy healthy cells. The technical language to describe this property is “immunomodulatory action.” The difference between black cumin and interferon is that there are no known side effects with black cumin when administered in normal dosages. The saying goes that the beauty of black cumin is their capacity to restore harmony.The most dramatic results are achieved with asthma and allergies. These respond relatively quickly unless there is infection, in which case, the infection needs to be eliminated before the symptoms of immune weakness subside. Studies have shown that black seed oil is an effective anti-oxidant, anti-bacterial, and anti-inflammatory remedy. As a result, it is often used to fight infections and strengthen the immune system. Black seed oil has also been found to be effective at promoting menstruation and increasing milk production. For most ailments, the recommended daily dosage is one teaspoon of black seed oil per day. The oil can be mixed in warm or cold drinks, or it can be added on top of many foods right before consuming. It can also be used topically as a chest rub for respiratory problems. Psoriasis is a skin condition in which scaly pink plaques appear over the body, these can be sore and itchy and can be a source of embarrassment. The condition is caused by an abnormal immune reaction in the body causing abnormal proliferation of the epidermal layer of skin. Black seed oil is well recognized to regulate the body’s immune cells (up regulating some and down regulating others), it also enhances the body’s ability to deal with abnormal cell proliferation. Black Seed Oil acts as an antihistamine which helps to reduce the common symptoms of allergies (watery eyes, sneezing). Simply take half a teaspoon of oil twice a day when allergy symptoms begin to appear. Scientific evidence indicates that black seed oil contains pharmacologically active substances such as thymoquinones, dithymoquinones, thymohydroquinones and thymol that modify leukotriene synthesis and inhibit histamine release. Some of the studies that evaluated the antiallergic potency of black seed oil in animals demonstrated that even small concentrations of its active constituents effectively inhibited the release of histamine from mast cells. Four human studies showed that black seed oil is indeed capable of relieving symptoms of allergic rhinitis, atopic eczema, and bronchial asthma. Nigella sativa oil also proved to be very effective in adult subjects with allergic rhinitis. Black seed extracts help inhibit the absorption of glucose in the intestines and improve glucose. Another study in a 2009 issue of the “Bangladesh Journal of Pharmacology” reveals that crude Nigella sativa extracts reduce damage to beta cells in the pancreas, which are responsible for the production of insulin. This might lower the risk of type 1 diabetes, the study says. An article in the April 2011 issue of the “Journal of Endocrinology and Metabolism” reaffirms that thymoquinone found in black seeds can prevent the development of type 1 diabetes and increase the insulin sensitivity of liver cells, which helps prevent type 2 diabetes. Black seed extracts also possess significant antioxidant activity and might protect the pancreatic cells against the harmful effects of free-radicals, the study says. 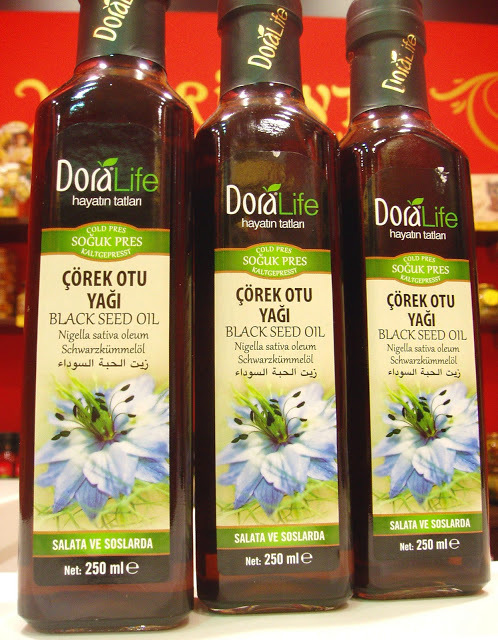 Black seed oil and seed constituents have shown potential medicinal properties in traditional medicine. Scientific research provides clear evidence that both the oil and its active ingredients, such as thymoquinone, possess antioxidant effects. This is accomplished by enhancing the oxidant scavenger system, which has a detoxifying effect. The oil and thymoquinone have potent anti-inflammatory effects on several experimental models of inflammation. These include: encephalomyelitis (inflammation of the brain and spinal cord after infection) colitis (inflammation of the colon), peritonitis (inflammation of the membrane which lines the inside of the abdomen and all of the internal organs), edema (the swelling of soft tissues as a result of excess fluid accumulation), and arthritis. The powerful anti-oxidant, anti-inflammatory and nutritive properties of black seed oil can help to restore the natural health and vitality of skin. The oil can be taken orally or applied and massaged directly into the skin. The rich array of oils provides deep skin moisture. Additionally vitamin A, amino acids and fatty acids work together to help skin regeneration. I have been using the black seed oil for over 2,5 years and haven’t been sick in over 2 years. Plus my allergy has been reduced. Although there are no clinical evidence that black seed oil really is beneficial, only laboratory researches, there is some skepticism left, but sometimes you have to stop listening to what your mind is saying and start listening to what your body needs and accepts. Therefore I am sticking with black seed oil.